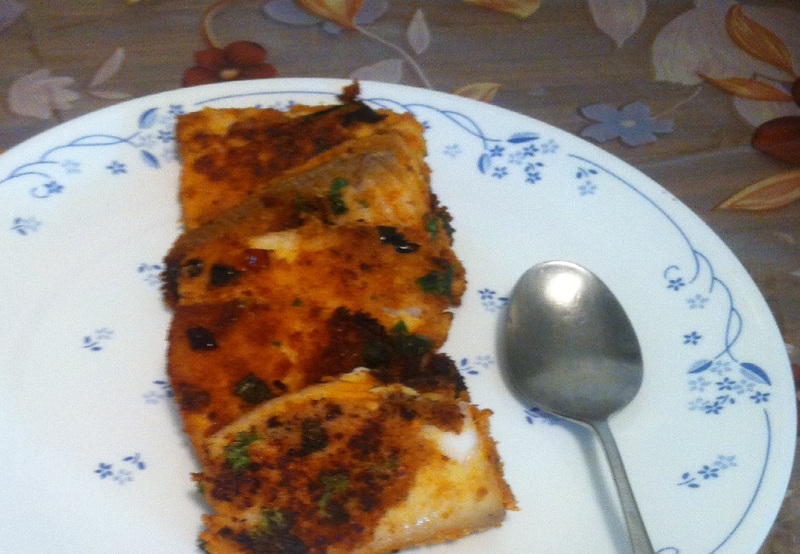 Fried Fish is easy and very popular dish in South India. I made it with frozen tilapia fish fillets. While I was cleaning the fish fillets in the kitchen sink, the whole memoir of my brother and I accompanying my father to the fish market flashed back to my mind. My father use to get up early on Sunday and go to fish market and meticulously choose the fresh fish he wants to be cooked that day. The fish vendor use to remove the scales and slice it into pieces and pack them. They even use to pack methi (fenugreek) leaves and green onions for free which goes into making the curry. Then my mom use to get to work on them, cleaning it again to remove skin and fishy smell. 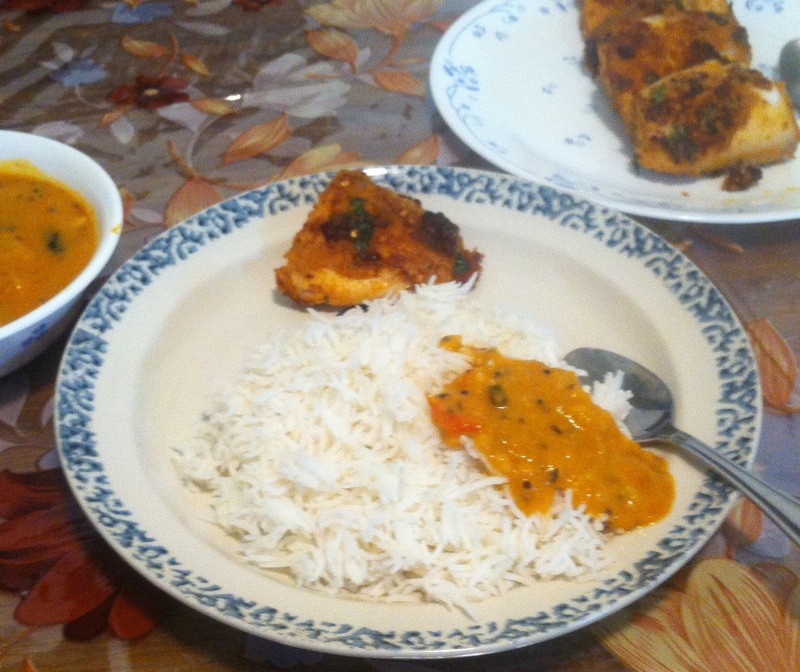 Then she use to divide the slices to two portions, one for a masala fish curry and one for fish fry. It was served with steamed rice and rasam (onion, tomato and tamarind soup). It seemed like a 3-4 hours of project work by my parents to get this meal ready. It was a meal we use to relish at least twice in a month all my childhood. Today, with this comfort of frozen foods, it took 30 mins for me to prepare this dish. I made it by marinating the fillets with spicy masala and coating them with breadcrumbs. These are common masala we use in almost every Indian recipe. The idea of coating with breadcrumb was from some cookbook I was reading lately. I flavored the crumb with salt, pepper, red chilli flakes and chopped coriander to give extra color and texture. It can be served as side dish or appetizer in a party too. Cut the fillets to half to make 2-3 inch pieces.